Canada’s Goldcorp (TSX:G) (NYSE:GG), the world's number four bullion miner in terms of output, is moving forward with its Century project, which aims to extend the life its century-old Dome mine in Ontario. The Dome mine received a death sentence in January 2016, when Goldcorp announced it was closing the operation in the summer due to weak bullion prices that nearly half the company’s share price over the previous year. A few months later, however, the company literally stroke gold as it found indicated mineral resource of 4.5 million ounces and a gold inferred mineral resource of 0.9 million ounces (for a total of 5.4 million ounces) at what is now being called the Dome Century Project. Goldcorp may be able to begin developing the open-pit Century project by 2023. Goldcorp kicked off then a conceptual study to expand the open-pit mine, which has just completed, and the project is entering its prefeasibility stage, expected to take about 18 months. “If we want to be economically viable and continue to contribute to Timmins, we need projects like this to make that happen (…) this is just an example of some of the ideas we have to take PGM (Porcupine Gold Mines) into a second century,” Marc Lauzier, general manager at PGM-Goldcorp told Timmins Today. Dome is one of the oldest operating gold mines in North America and one of the other two assets — Hoyle Pond and Hollinger open pit — that are part of the Porcupine operation. While Dome has been what Goldcorp calls a “prolific” gold producer since it began production in 1910, reserves are declining fast. 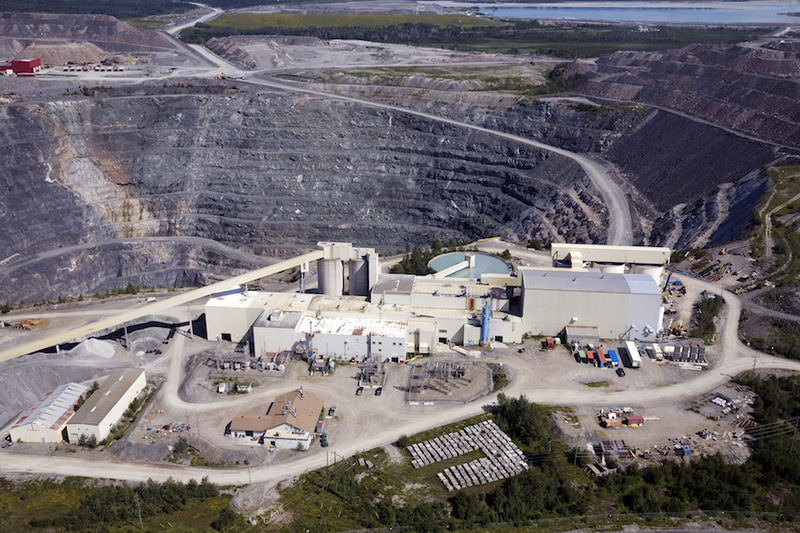 That leaves Porcupine with the Hollinger open pit, set to shut down by 2019, the Hoyle Pond underground operations and the processing facility, which is fed by all three mines. The potential large-scale open pit Century mine is expected to be close to its development stage by the time Dome approaches the end of its life, Lauzier said. Despite having sold quite a few mines recently, Goldcorp expects to produce approximately 2.5 million ounces of gold in 2017 and has set itself some ambitious targets for the next five years. The Vancouver-based miner expects gold production to increase 20% to approximately 3 million ounces, excluding potential production from its Canadian projects and its NuevaUnión joint venture in Chile.